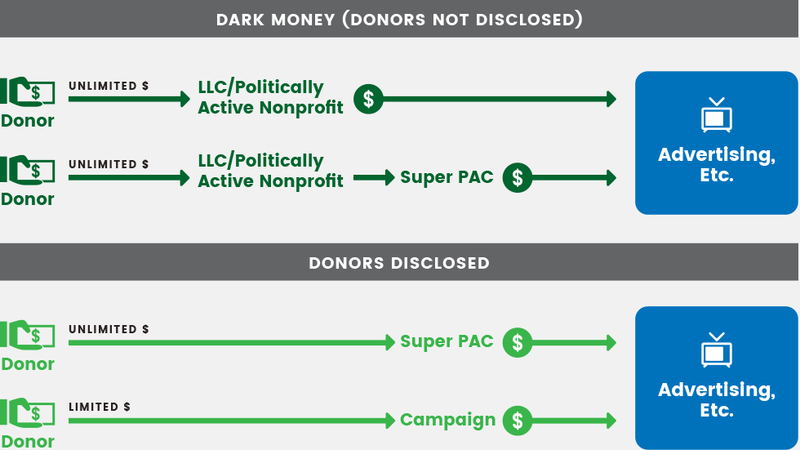 In May, MapLight launched Dark Money Watch, an online hub for information about election spending by groups that don’t disclose their donors. The site explains how dark money works, profiles the key players involved with it, and includes a comprehensive guide to sources of data for investigating dark money. An up-to-date news section aggregates recent articles and features original reporting by MapLight. One featured MapLight investigation found that the number of “social welfare organizations” that can raise and spend dark money has surged since the Citizens United Supreme Court case; 60% of the more than 3,800 such nonprofits were created after the 2010 decision. In another story, we examined data from the Political TV Ad Archive and determined that dark money groups were more likely to spend money on attack ads than any other type of ad sponsor. “There’s no question our current political system keeps voters in the dark about who is spending to influence their vote—making it all the more critical that the tools and information to understand secret spending are centralized and accessible,” said MapLight President Daniel Newman about the launch of the site. MapLight hopes that Dark Money Watch—whose launch was promoted by Politico, Forbes, and former U.S. Secretary of Labor Robert Reich, among others—will inspire journalists and citizens to take a closer look at the special interests influencing American elections from the shadows. Dark Money Watch was made possible through partnerships with the Sunlight Foundation, the Political TV Ad Archive, and the Center for Responsive Politics, as well as by grants from the Lisa and Douglas Goldman Fund and the Blue Haven Fund. MapLight greatly appreciates these partners and donors for their work educating the public about the influence of dark money in our country.